Starr Convictions: Think Your Big Dog Doesn't Need a Winter Coat? : Think Again! Normally, I'm not a fan of dog clothing, but when I did some research, what I found changed my mind. 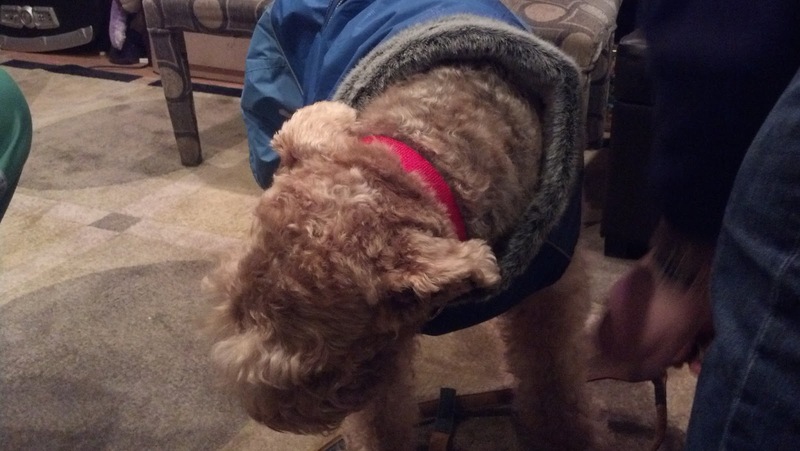 My dog Bertie is a 10-year old Airedale who loves to go outside for walks, but not when it's freezing! If people get cold, isn't it possible that dogs do too? 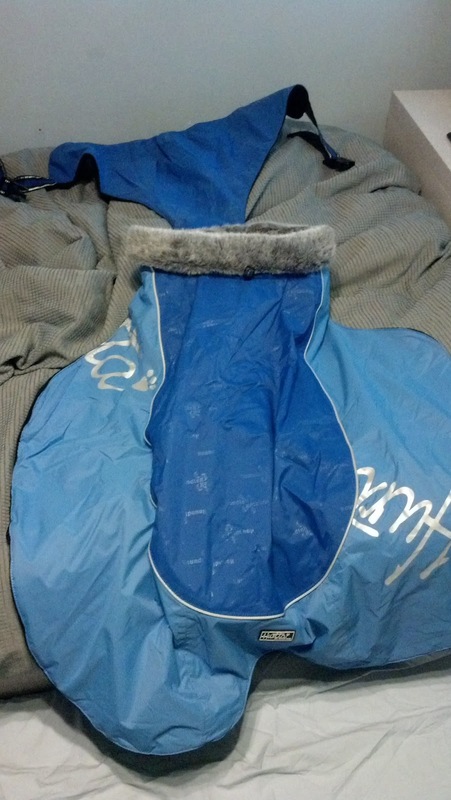 It's waterproof, fleece lined, and has a fur collar! 3. Some dogs don't enjoy walking in the rain, especially when it's pouring, leading to them not wanting to go to the bathroom, which can cause tummy troubles! Why not make them more comfortable and keep them dry! Bertie's new coat is awesome, and when she sees it, she knows she gets to go outside without shivering! She actually runs into it and tries to put her head in! Even if your dog uses a harness for walks, don't despair, Bertie has one too, and if it's adjusted, it fits right over her coat! and the buckles for walking at night! We got hers at Petco, but the brand, Hurtta, is also online. There are other companies that make great coats too, such as the Canadian site Chilly Dogs. They sell sweaters and coats for all kinds of weather, and even if their prices are not quite what you're looking for, they have a great measuring guide to see what size coat fits your dog's needs. Check out their Fitting Room page for the full chart, but here's a preview of how the coats (from most companies) go on so easily! Basically, you just put it over their head, put the middle part under their chest, then buckle it on top of their back. Done! Here's to warm, dry winter walks! Also, be sure to check out my post on Important Winter Protection for Your Dog's Feet!